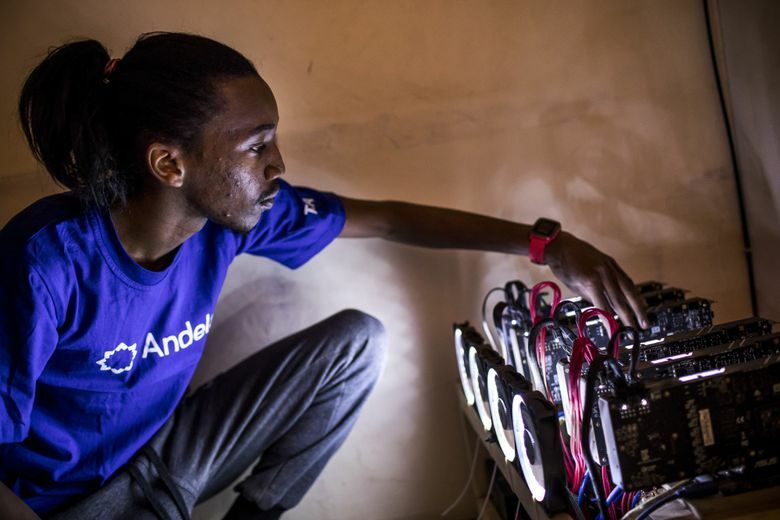 28-year-old Eugene Mutai of Nairobi is a proud citizen of the strange and controversial new world of cryptocurrencies — and a rather rare breed, with just a high-school education and no formal training as a coder. Eugene Mutai’s Nairobi apartment is filled with the sound of money: That would be the hum of a phalanx of fans cooling the computers he’s programmed to mine cryptocurrencies around the clock. The 28-year-old has given up a chunk of his living quarters to the enterprise. What’s more, he invests every spare cent in initial-coin offerings: fundraising tools some startups are using to crowdsource capital. He’s a proud citizen of a strange and controversial new world — and a rather rare breed, with just a high-school education and no formal training as a coder. That’s one thing he holds up as proof that cryptofinance isn’t the scam that a diversity of critics, from Jamie Dimon of JPMorgan Chase & Co. to Saudi Arabian Prince Alwaleed bin Talal, have suggested it is. For Mutai, the appeal is simple: It levels the playing field in global markets that don’t give people like him many breaks. An opposing view is that what this young man is doing is wrong or stupid, sucking up massive amounts of electricity to create a software-fabricated asset that’s traded anonymously in a lottery that criminals find irresistible. So Mutai is either in the middle of a fraud, or a revolution. Whichever, the market has exploded — growing to $190 billion from just $17 billion at the start of the year. 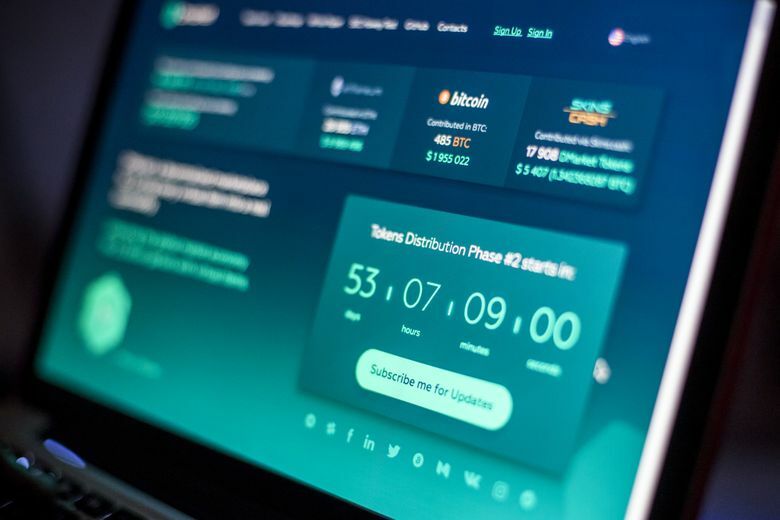 Hundreds of new digital tokens have sprung up as entrepreneurs started projects based on blockchain, the public bookkeeping technology that supports digital currencies, raising millions and even hundreds of millions of dollars in minutes. The value of bitcoin, the biggest of them all, has increased sixfold. And it’s about to go mainstream, with CME Group in Chicago planning to introduce bitcoin-futures trading contracts by the end of the year. Cryptocurrencies are especially attractive in economies where there are restrictions on taking cash abroad, or people don’t have bank accounts, or the local currency is being trampled by inflation. That’s the case in Zimbabwe, for example, which is facing a liquidity crisis as inflation spirals: Bitcoin in the local Golix exchange has soared to more than $10,000, a 75 percent premium on global prices, as locals rush to it to protect savings. In six of the largest African nations for which there is trading data in the online exchange Local Bitcoins, the average premium to the Bloomberg bitcoin index is 7 percent; the gap in major bitcoin trading hubs such as China, South Korea, Germany and the U.K. doesn’t surpass 3 percent. Mutai said he sees cryptocurrencies as safe because “local political issues don’t affect them” — something of note in Kenya, where after two elections within three months there’s still a stalemate over who is the rightful leader. Just last year, Mutai hadn’t heard of bitcoin, which hardly makes him unusual. Neither does the fact that a decade ago he didn’t have access to a computer. He was interested in technology, though, and borrowed a friend’s Nokia Symbian S40, one of the first non-smartphones that could download apps. In between odd jobs in farming, herding sheep and ferrying people on his motorcycle, he taught himself the basics of HTML and CSS coding languages. He was living at the time in his mother’s home village — they moved there from the city for his last year of high school, after his twin brother died and his mom lost her job — and was barely earning enough to survive. So he decided to move in with his uncle in Nairobi, who happened to have a desktop computer and a Wi-Fi connection. “It was do or die,” he said. Mutai spent four months glued to the computer, worrying his uncle, who at one point took the machine away. After mastering the mysteries of code, he landed a job as a programmer. He also became a consultant for the technology incubator iHub and for the Nairobi County government. By 2016, he was named Kenya’s top-ranked software developer by Git Awards, which bases its rankings on data from GitHub, a site where coders store and share their work. 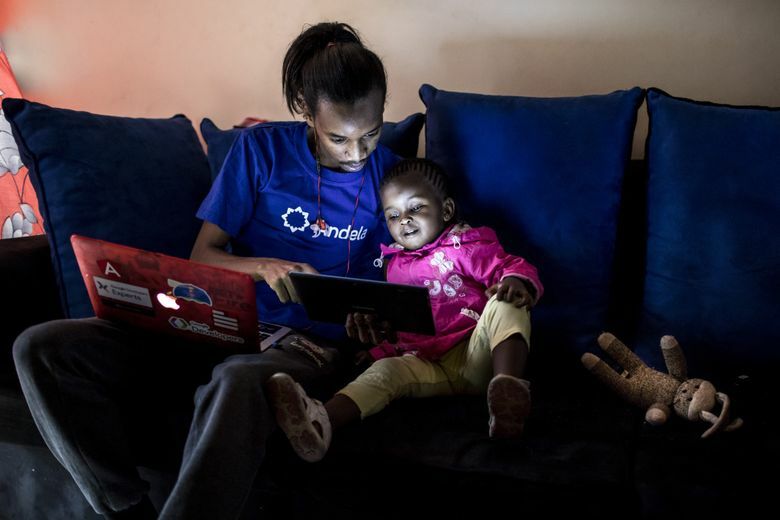 Now Mutai works for Andela, which trains developers and engineers throughout Africa and connects them with companies including Microsoft. His current contract is with Restaurant Brands International, building an ordering app for Tim Hortons. He’s in the Kenyan middle class, a feat for a guy without a college degree. At the moment, the rig churns out mainly digital coins called Zcash and LBRY Credits. Mutai said he’d like to increase production by plugging in two more graphics cards, but that will have to wait until he can upgrade the power supply to his apartment. As it is, his monthly electric bill is about $200, steep for a residence in Nairobi.